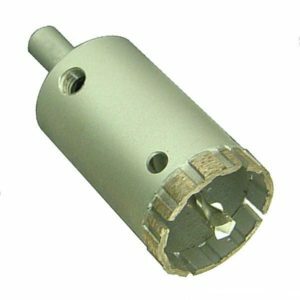 Diamond Core Bits for Concrete, Stone, & Masonry Drills - Canada Direct! Core Bit Tube Extensions are 12″ long and screw directly onto the Zig Zag Wet Core bits to extend effective drilling depth to allow for continuous drilling. This is also much more efficient than getting core bits manufactured to custom lengths.